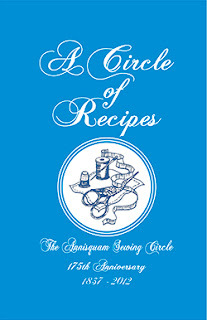 Annisquam Herb Farm: Annisquam Sewing Circle Cookbook . . .
Annisquam Sewing Circle Cookbook . . .
Over 400 recipes gathered from members of the Annisquam Sewing Circle are here for you to try and to share. For sale at the Annisquam Sewing Circle Christmas Fair in the Leonard Building, Leonard St., Gloucester MA, Saturday, December 3, 2011, from ASC Members and by mail.